In the average human body the heart is located in the chest just on the left side of the area but for some people it may be found towards the right hand side of the chest, in effect on the 'wrong' side and this condition is known as dextrocardia. 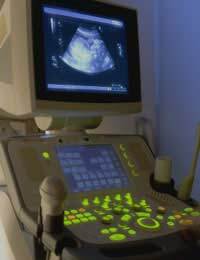 Dextrocardia happens due to developmental factors in the growing foetus. As the heart muscle develops it seems to flip to the other side where it continues growing.In most people who have dextrocardia the heart continues to develop normally with all the chambers and valves in the right place within the structure functioning as they should. For these people there is usually no need for treatment or concern and a healthy life can be led. Occasionally though, a heart defect may occur though this is quite rare and may have occurred if the heart had developed in the left side of the chest as normal. For some people the heart may simply the exact same as one that lies in the left side of the chest but has moved over to the right. In these people the anatomical structures of the organ are in the same place. In others however the whole organ can appear to be flipped over so that the anatomy can be described as back to front. The chambers, valves and major vessels will be in the reverse position and this is referred to as dextrocardia situs inversus or commonly as a mirror-image.When this occurs it is common for the immediately surrounding organs to be affected as well and it has been found that those with dextrocardia situs inversus usually have their spleen and liver in the reverse position also. The use of foetal scanning techniques has meant that often the condition is diagnosed before birth, particularly in the western world, but for those who do not have the condition diagnosed this way, it may be possible that it goes undiagnosed throughout life. Often it is diagnosed during a medical examination or during a routine visit to hospital when cardiac function is tested such as prior to surgery. The electrical activity within the heart that is monitored during an electrocardiogram will produce irregular results that will lead the doctors or nurses to achieve the diagnosis of dextrocardia. For most the condition is asymptomatic and does not cause any long term problems. However, for those with heart abnormalities it may mean that the usual treatment options are not as easily accessed or achievable as the anatomy is not as normal.If you are aware of having dextrocardia it is important to tell any healthcare professionals who have input into your care particularly if you are having surgery as this will allow the team to make adequate provisions regarding your health and monitoring processes during your stay. Dextrocardia is a condition that continues to provide a source of exploration and research for related health professionals. It is a rare disorder and research has shown that the chances of suffering from other problems of the heart are higher especially if other organs are affected also. Individuals may find that they suffer no symptoms at all, or not until they are in the later stages of life, whilst others may suffer from some serious heart conditions caused by the condition. Hi I have dexrocadia stasis inverse. We found out when I was 5years old .I would love to know more about my condition as meny doctor and nurses have never met anyone like methe doctorluv getting medical studentsto come and check me to see if they can pick it up witch can be funny .if there are any studies in to my conditionI can help with I would love it .